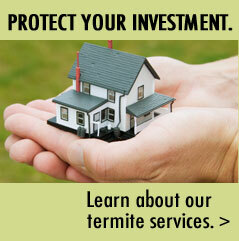 Termites are serious business and so are our solutions. 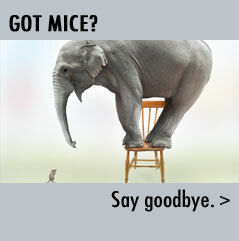 Aardvark Pest Control Services offers different termite control options. Termidor Liquid Residual Termiticide. Aardvark Pest Control Services has been using Termidor termiticide since 2001 and we have experienced exceptional results. Termidor is recognized as the gold standard in liquid residual termite control and our track record with it supports that claim. Termidor is odorless and also undetectable to termites. As such, they travel through it and ultimately spread it through contact with other termites. Termidor provides a control zone around the perimeter of your home. Termites are affected by Termidor when they enter the treated area and ingest the treated soil and when their bodies come in contact with the treated soil. Termidor’s effectiveness is enhanced because termites transfer it from one termite to another during the normal grooming process. Advance Termite Baiting System kills termites by encouraging them to eat treated bait (chemically impregnated cardboard). Bait stations are strategically placed around your home at areas where termites are most likely to forage for food. The stations are monitored for activity on a fixed schedule and bait is replenished as required based on the inspection results. Whether choosing to use Termidor or Advance Termite Baiting, you can have the comfort of knowing that both methods are designed to kill the colony. Your Aardvark Pest Control technician can carefully explain either system to you.